This week in 6 months time will be the busiest most retailers in the Uk will see… That is a fact we can’t get away from, most of our retailers live for Christmas and some sadly fail because of it. 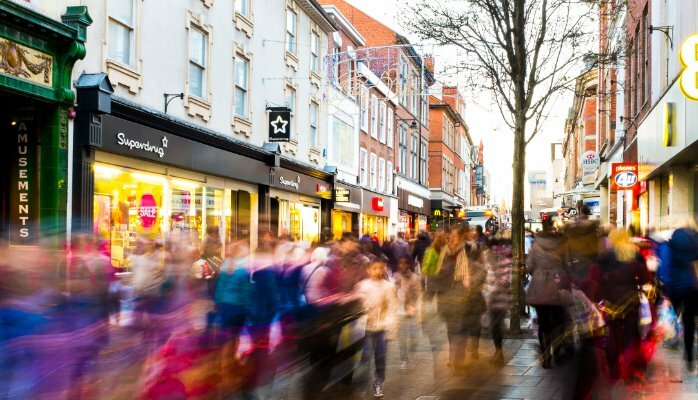 No matter how we all talk of ‘Black Friday’ and ‘Cyber Monday’ (which we should also be looking at) – the fact is that it is this week when your shops will be 20 deep at every checkout and those at the back of the queue will be looking at their watches, tutting – mumbling to the people in front of them ‘I only came in to collect…’ we all know the type and we have all been there! In 2016/7 where the omni channel experience has levelled prices, where the competition is fierce (and not in a RuPaul way!) we need to be able to offer a better experience to your customer than the competition and not leave them waiting to check out of the store for 20 minutes or collect pre ordered goods for hours. Yet it happens all the time, as much as it shouldn’t, it does. Why is it an issue? Because these are the people who will leave their potential purchases in the store and just walk out faster than road runner in a cartoon. Worse still, they get home and they write a strongly worded letter as ‘concerned of Croydon, Cirencester, Chippenham or Camelford’ with the purpose of getting compensation for the wasted time – and sadly they will get it. You know, because I have said it hundreds of times in my blogs- once the customer has gone – it is far harder to win them back. Service sells, service draws people to a retailer like a moth to a flame. People are enticed by great service and they are willing to pay for it! Better than that, they tell their friends just how good you were. To further highlight this, one food retailer who shall remain nameless had customers waiting 2 hours to collect Christmas food orders they had already paid for! Now that on its own would cause me to probably never return. 2 Hours! 120 Minutes, 7200 toe curling, smart-phone battery flattening seconds waiting for a turkey! I would have counted every one and after 720 I would want to drive pins into my eyes – because I would have been remembering everything else I needed to do the week before Christmas! We owe it to the customer to look at ways of managing the experience for them – managing their journey and improving it. What is the point of offering your valued customers ‘click and collect’ only to completely ruin the experience when they enter the store because they can’t get to collect it when they want to? It is not acceptable to tell the customer ‘it’s Christmas’ when there is a huge queue at the cash desk, because you knew in June that it would be Christmas and it would be busy and like the sun rising in the east – it is the same every year! It does not matter what your business does, where it does it – like us you are only in business to service the customer and if that experience is marred by what is perceived as poor service, the shopper will vote with their feet which will have an adverse affect on your profitability and bottom line. If it is Christmas and you did no planning other than working out if you had enough stock of this seasons ‘must haves’ and bought some more rope queue management barriers, do you deserve the loyalty of your shoppers? Maybe you have set up some ‘pop up checkouts’ around the store… but sadly it is not enough and you need to be doing more. Surely there is an efficient, cost effective way of managing the Christmas ‘issue’ without spending millions on development? Something that could integrate with your systems and processes? Something cloud based that did not require vast amounts of hardware? Something that could be scalable from one department in one store across your entire estate, that could offer genuine gains, improve your retention rates, something that would allow you to confirm ‘click and collect’ appointments with a text message so the customers were not kept waiting… Something that engaged your customer in a way that a queue never will (unless you are planning to give out free cocktails to people whilst they wait). A solution that did not rely on an easily lost many clip board of curly sheets of paper that everyone in the store had doodled on and written expletives next to disgruntled customers names for all the other customers to see, something that makes you and your store look focussed on the customer and not on each other. Some thing? That will be the day… There are companies that will… No wait, that requires tons of hardware, software, development and investment… Solutions that might be deployed in time for the easter sales of 2017. Wait I lied, there is something, something that will affect your bottom line and improve service – it’s the ‘Qudini effect’. Qudini means better service, faster service, better client retention and Qudini means that you get the biggest share of your client’s wallet. The “Qudini Effect’ is platform agnostic solution that will work with and on pretty much any device or system. Works out of the box and helps you generate more money by satisfying more customers. It is about the small things you do to improve the experience your clients have that have the greatest effect. It is about those butterfly wings beating making changes across your business. The Qudini effect – ensuring that you have a successful Christmas and 2017! Talk to us today about the Qudini effect and how we can together affect your business in a positive way, shorten the queue’s, reduce lost business, increase revenues and customer satisfaction. The ‘Qudini Effect’ – approaching problems with intelligent, robust, scalable, cost effective solutions to today’s retail issues.